After nearly 25 years of experience and serving over 2,000 travelers, we have grown to understand this one-of-a-kind experience intimately and have refined an itinerary flow that creates the most profound impact. Group convenes at charming Quito hotel in late afternoon to get connected, oriented, and acclimated before enjoying a traditional Ecuadorian dinner together. Travel by chartered bus through the Avenue of the Volcanoes, experiential visit with highland indigenous group creating a seamless worldview shift to enter the rainforest with an open mind and heart. Visit ancestral homelands of our Achuar and Sápara indigenous partners. Learn about making artisan items: ceramics, baskets, darts, headbands, etc. Flight out of rainforest to ideal location in the highlands for rest, reintegration, time in nature, group completions and celebrations. Each Journey is skillfully curated by trained leaders and expert guides on the ground. Our Journey Leaders are volunteers who have experience as a Journey participant and have gone through an extensive leadership training to effectively hold a safe and dynamic space for you on your Journey. Our Ecuadorian guides have been guiding for decades and are dedicated to supporting the rainforest and indigenous people. Their knowledge, understanding, trust and relationships are an invaluable part of the Journeys experience. Pat and Dave Usner first traveled to the rainforest of Ecuador in 1989, and experienced a deep and profound connection with the rainforest and the people who call it home. That trip began a 15-year journey to find an organization making an impact in this part of the world. In 2004 they uprooted their lives on the East Coast to move to San Francisco so that Pat could join the staff of the Pachamama Alliance. Pat has served in many roles with Pachamama Alliance as it has grown over the years, and is currently Director of Development. Working here is the fulfillment of her passion for the Amazon rainforest and the indigenous people who live there. Dave is an actor, scriptwriter, and filmmaker. He also founded a promotional product business that he’s run for 30+ years. He loves leading trips into the rainforest because it fulfills his dream of bringing transformation to the world. Pushing boundaries to open up new possibilities is a key element in his life. Dave and Pat have jumped out of airplanes more than 500 times each and Dave says that going to the jungle is like that… a fish-out-of-water experience with the sense of coming home. Steve Torneten is a speaker, healer, coach, and adventurer. He is highly committed to the work and vision of the Pachamama Alliance and deeply involved in every program of the organization. His diverse background ranges from piloting helicopters in the Marine Corps after college, to flying jets commercially, to real estate, and being a facilitator and trainer of healing and transformational experiences. Steve is an experienced meditator—having spent significant time practicing in India—and is a certified Yoga instructor. He is married, has one daughter (who went on a Pachamama Journey when she was ten) and several 4-legged children. Steve’s own personal experiences have led him to believe that no matter what has happened in your life, you can be healed, find joy, and experience peace. His true passion is the exploration of emotional freedom. Anita is one of Pachamama Alliance’s newest board members. Drawing on her Mexican and indigenous ancestral learnings as well as modern science, Anita supports leaders and their teams in Fortune 500 companies and global non-profits, creating benchmarked diversity and engagement strategies, organizational culture change initiatives, and leadership development. Acknowledging her passion and work for positive change in the world, Anita is honored to be a member of the Transformational Leadership Council. Anita’s latest book, “The Four Sacred Gifts: Indigenous Wisdom for Modern Times” will be published by Simon & Schuster in September 2017. Anita is also the co-author of two “Success University for Women” books, “Discovering Your Positive Core – A Personal Guide”, and “The Strategic Matrix for Selecting Diversity Initiatives. Since 2005, Anita has been an active volunteer supporter of Pachamama Alliance: training more than 300 Facilitators in the Awakening the Dreamer, Changing the Dream Symposium and the Getting Into Action Workshop; facilitated more than 40 Symposiums in Thailand, Canada, the U.S., and Mexico, member of Social Justice core team, and a joyful Pachamama Journey leader. Kit is a multifaceted volunteer for Pachamama Alliance: He facilitates Awakening the Dreamer Symposiums, trains Awakening the Dreamer Symposium Facilitators, mentors Facilitator Trainers in North America, provides communication skills training, and advises on social justice issues and program design and implementation, as well as leading Pachamama Journeys. Known for his work as a “Conscious Organizational Evolution” consultant, facilitator, trainer and coach, Kit has consulted to, taught in, and managed business, government, academic and nonprofit organizations since 1973. His most contemporary work concentrates on global diversity + inclusion + engagement, appreciative inquiry, seamless new team start-ups, dynamic team building, and human-centric organizational cultural renewal. He is co-author of “Discovering Your Positive Core – A Personal Guide”, and “The Strategic Matrix for Selecting Diversity Initiatives”. He lives in the mountains outside Boulder, Colorado with his life and business partner, Anita Sanchez and their two sons. 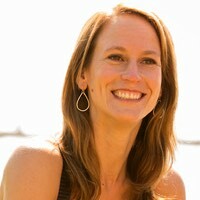 Rebecca manages the Journeys Program for the Pachamama Alliance and is also a popular yoga instructor in San Francisco who has been leading local and international retreats for more than a decade.